When Volkswagen announced that they were redesigning the Jetta to provide drivers with a completely new experience, there was a lot of excitement as the Jetta had remained relatively unchanged for several years. 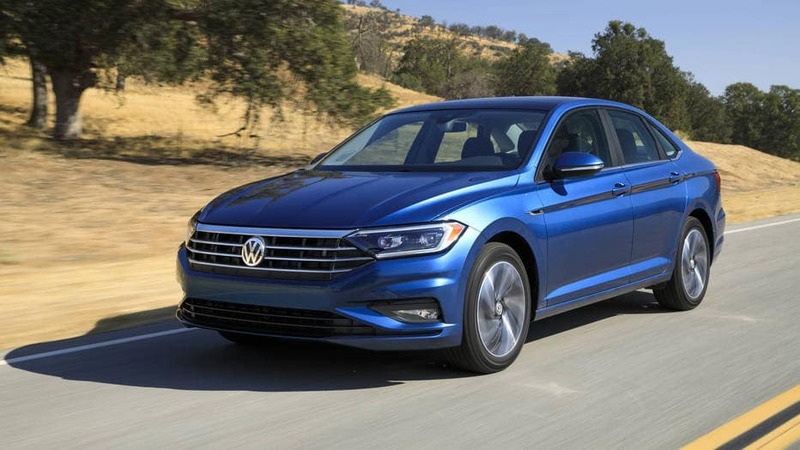 Now the all-new 2019 Volkswagen Jetta is for sale at our Tampa VW dealer, and reviewers and drivers alike are thrilled by what they’re seeing. Let’s take a quick look at five things you should know about the new 2019 VW Jetta. One thing that many reviewers have mentioned is that thanks to options like automatic emergency braking and adaptive cruise control, heated and cooling front seats, the new BeatsAudio sound system, and 8.0 inch touchscreen infotainment setup, full Apple CarPlay and Android Auto connectivity, and a massive 10.25 inch TFT dash display, the new 2019 Volkswagen Jetta can be outfitted to rival some of Audi’s most popular models. You can forget about trying to figure out which trim and transmission package will deliver you the best fuel efficiency. No matter what setup you get, the 2019 VW Jetta will deliver an EPA rating of 30 mpg city/40 highway. The 2019 Jetta has been built around a new, more stable platform. What does that mean to you? Essentially, it delivers a smoother ride with more focused handling. Translation: an all-around better driving experience. Speaking of the driving experience, the 2019 Jetta takes your ride to the next level. With 10-color customizable interior lighting, a panoramic sunset, and the aforementioned BeatsAudio sound system, the new Jetta can be tailored to be more driver-centric than ever. Reviewers have praised the new 2019 Jetta for an updated body design giving it a sleeker, sportier look than any release yet. Ready to be among the first to experience the all-new 2019 Volkswagen Jetta? Visit our Tampa VW dealer today, and see how with the new and improved Jetta, Volkswagen is taking your driving experience to a whole new level. Check out our selection of the 2019 VW Jetta online, or call Reeves Volkswagen Tampa at (856) 486-7684 today.